This year started out wonderful with the birth of Walt and Whitney and ended horribly with the passing of my Dad. Sorry to be a downer, but it's the truth. 2017 will be a tough year as my family and I experience a year of firsts without my Dad but we're strong and will get through it together. I pray 2017 is a year of spiritual growth, memorable experiences, and lots of love. Took 3 months of maternity leave. Thank the lord for a job that paid me my full salary while I was out. Started a YouTube channel. Alex is my producer and does all the editing ; ). Note that I said this was a "positive" recap. There were many times life didn't go right; totaling my car, countless interviews where I didn't get the job, postpartum anxiety, grief and more. My goal of 2016 was to simply survive raising infant twins. Well, mission accomplished. My 2017 goals are to brush my teeth every night, wear my retainer and buy less stuff I don't need. Do you have any goals for 2017? I would love to hear them! 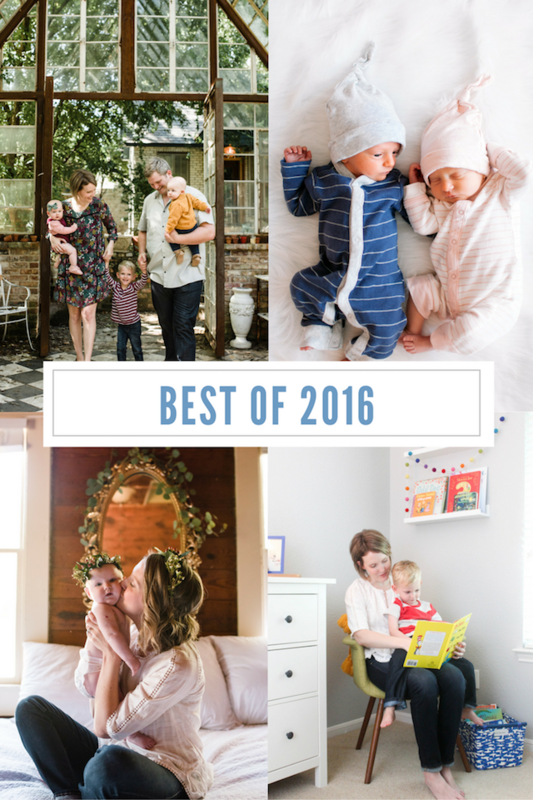 I love your recap of 2016! I just found you at the end of this year so I'm excited for YOUR 2017 to continue to inspire me!!!! 2017 goals: Self care (includes making time to exercise, read, do projects around the house, etc) and taking more weekend trips with the family. I also want to volunteer and/or donate money to organizations I support every month. So I was trying really hard not to be jealous by your life buuuut ... I am! What a year! Great recap! As a twin with a twin brother, Have fun! Ha Ha. Don't put them in matching clothes and separate teachers if possible if in school. Gives them a better sense of themselves and helped my brother and I become our own people. Too much sharing and being a like! We had a period where we hated each other because you know teenagers don't want to share birthdays lol. Life is full of ups and downs. I had a crazy year of changes and ended up starting my own business. Make the best of what you can. You have had quite the year! The fact that you survived raising twins is prize worthy! I am so sorry for your loss.